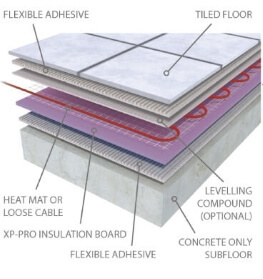 ProWarm XP-PRO insulation boards are especially designed for use with ProWarm electric underfloor heating systems on screeded / concrete floors. Each board is 1200mm x 600mm - and covers 0.72m2. 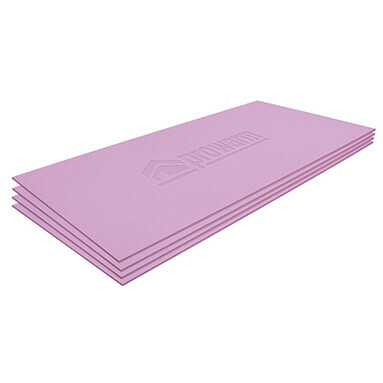 XP-PRO insulation boards are available in the following thicknesses: 6mm, 10mm, 20mm, 30mm & 50mm. 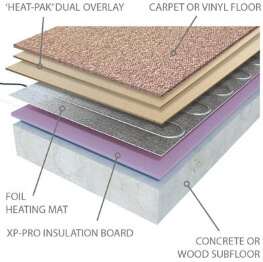 ProWarm XP-PRO insulation boards can be used with either under tile or under wood electric heating systems. Full colour installation instructions are provided with the insulation panels, or a (PDF) document can be downloaded here!